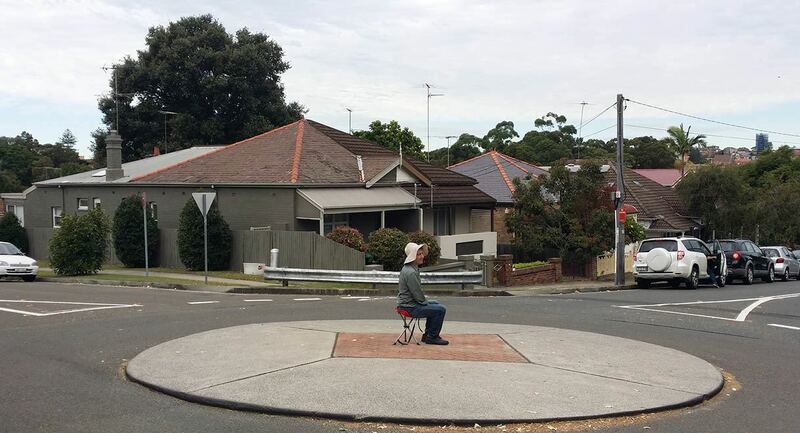 Sitting the City is a participatory mass performance work, involving the transformative practice of ‘anchoring’– sitting quietly, doing nothing in open-air urban spaces. Participants attend a half-day Saturday training workshop and then take part in a Sunday mass sitting-as-art performance. ‘Sitting the City’ is a participatory mass performance work led by spatial designer and contemplative practitioner Michael Garbutt. The project promotes and explores the transformative practice of ‘anchoring’, i.e. the art of sitting quietly, doing (almost) nothing in open-air urban spaces as a creative response to everyday urban anxiety. The Saturday workshop is designed to develop skills in anchoring, including contemplative exercises such as empathic gazing, glancing, and process drawing that require no previous skills or experience. On the Sunday, workshop participants re-assemble to participate in a world-first, mass sitting-as-art event in an iconic open-air Sydney location and concludes with a ‘return to-place’ ceremony in Customs House. To find out more, please email contemplativegaze@gmail.com including a 50-word bio and a 50-word statement about why you would like to participate (by 15 September). Michael Garbutt is an artist, spatial designer and writer whose sketches of urban scenes became well-known to Australian audiences through ABC’s Garbutt’s Way TV series. He teaches and researches spatial design at UNSW Faculty of Art & Design. After completing a PhD on the linguistic construction of Freudian playspace in psychotherapy, Garbutt’s research and art practice continue to explore, produce, and record spatial experience in urban settings. With Nico Roenpagel from the Berlin Forum for Meditation and Neuroscience he is editor of The Mindful Eye: Contemplative Pedagogies in Visual Arts Education. Champaign, IL: Common Ground Publishing.